Jorgen Delitsky, rig chief of the Kollo-Zarnista Mining Facility 27 is having a rough day. One crew member is missing, they caught two sticky-fingered strangers in their diamond vault and he’s got inspectors round. For a planet that rains diamonds, life near Saturn isn’t as glamorous as he’d hoped. But it’s about to get a lot worse when the locals pop round. Mainly because he didn’t know there were any! Mike Tucker is something of a Renaissance man when it comes to Doctor Who. He’s worked on visual effects for both the classic series and modern era, for which he won a BAFTA. 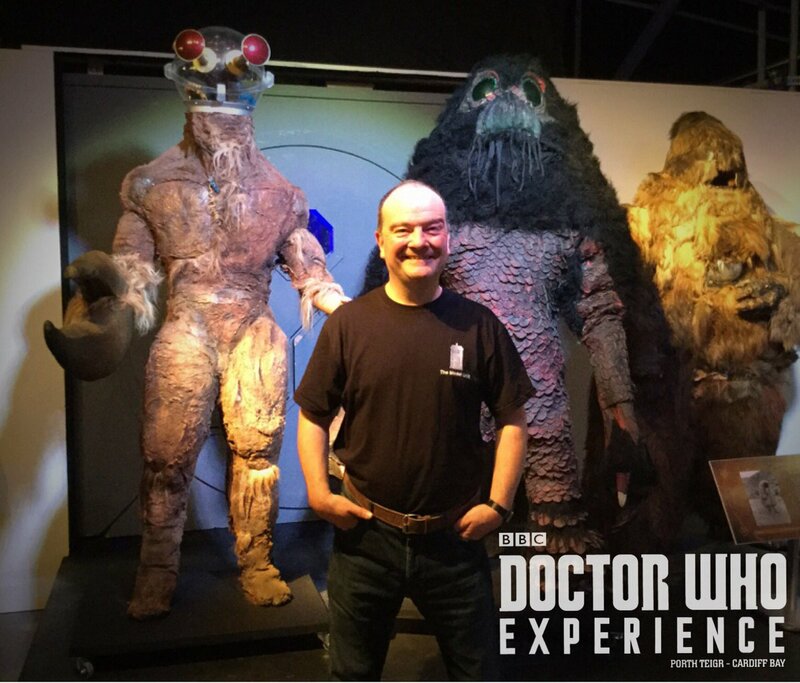 As model unit supervisor, he’s given us some of the most memorable moments of recent Who history. Like the Slitheen spaceship crashing into Big Ben. Not only that, he’s a respected writer who’s contributed to the Whoniverse is practically every spin-off medium imaginable. ‘Diamond Dogs’ is his fourth full-length New Series novel and second featuring the Twelfth Doctor. As the introduction probably suggested, there’s a lot going on in this story. Inevitably, this means the opening needs to be slow and methodical in establishing all the important points. Luckily, Tucker has been ruthless in trimming down the prologue and opening chapters to the essentials. Not a single word is wasted and all the background is explained ready for the story to kick off. The science all checks out, though I have one question about the economics of harvesting diamonds by the billions. Surely their value would plummet. But it keeps the story simple by making the motivator (i.e. dosh) easy to recognise, so it works. A large part of the setup is dedicated to establishing character. Tucker excels here, creating a broad range of interpersonal relationships between the crew. The dialogue gets across a long working history between the main rig workers without relying on exposition. In particular, the character of Dr. Teske was a nice counterpoint to the put-upon Chief Delitsky. She avoids the corporate politics but still provides counsel to her boss and friends when needed. However, I feel like we should have gotten to know Jenloz a lot more. He just hangs around and fanboys over the Doctor (who can blame him?) until the plot needs him. With the story set early in Bill’s tenure, there’s a very good realization of her onscreen relationship with the Doctor. This is no small feat considering that Tucker would probably have had to work from shooting scripts alone. 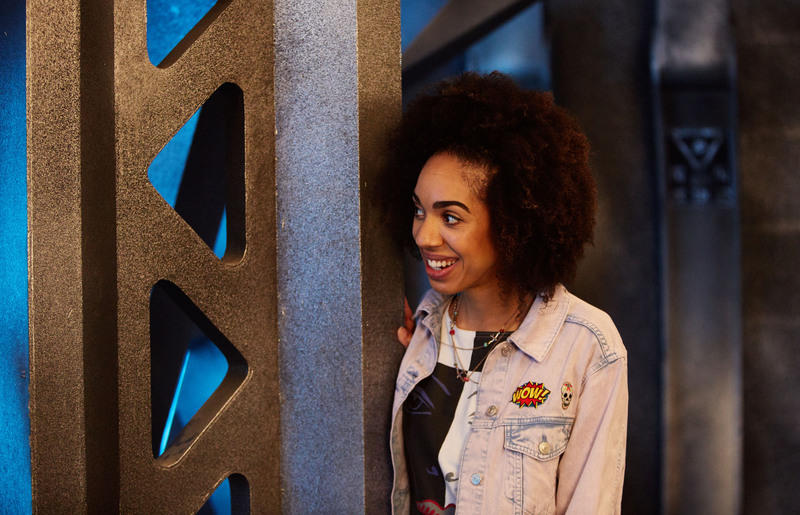 Tucker has captured Pearl Mackie’s cadence perfectly and gives the character some brand new situations to react to. Bringing her to a setting like this was a great move to show more facets of the character. She’s never seen anywhere like this in her adventures so far. So her awe is shared with the audience and makes for a more immersive story. Over the course of just over 250 pages, Mike Tucker takes us on a rescue mission, monster attack, mystery and disaster story. This breathless pace should be disconcerting but it flows remarkably well. The mystery plot runs through the entire story with each other part serving up more clues. It has all the trappings of a mystery plot, including a juicy red herring, and the reveal is effective. But, as with most things in Doctor Who, it’s not that simple. Though with so many things going on at once, it’s easy to forget where everyone is at any given moment. This is particularly troublesome in a mystery story, as easily-forgotten details end up being pivotal to the plot. More than once I had to flick back to remind myself what they’re referring to. While splitting up the Doctor and companion is usually a good move, here it might have been more prudent to keep them together. It would have trimmed some of the plot threads and given the story a tighter focus. ‘Diamond Dogs’ is a fun and imaginative run around with some superb characterisation. It’s a well-constructed mystery even if the complexity of the story detracts from it a little. Vivid descriptions and natural dialogue makes it another hit for the prolific Mike Tucker.